The Polite Force is simply one of the landmark albums of the period. Adventurous beyond anything else around at that time, and even by today's standards a record with unique charms that are timeless. Opening track A Visit to Newposrt Hospital never fails to conjure its own bewitching magic whenever I have the wondrous experience of hearing it....and that has been countless times since the record's release in 1971. The only other song I have ever heard that parallels it would be 'Nine Feet Underground' by Caravan, another Canterbury keyboard epic which, like 'Newport Hospital' is filled with bewitching and otherworldly keyboard performances that transport one to another place. Both songs by both bands have that powerful quality of being able to take one on a 'trip' to somewhere else entirely...and that 'somewhere' is truly beautiful and wondrous. Newport Hosptal' alone is worth buying this record for. Beyond that, Long Piece #3 is what may rightfully be called Egg's 'Tarkus'; their signature, epic work. Filled with many different moods, colors and time signatures it also stands as a unique piece of music. While there is a distinct relationship to other Canterbury bands like Caravan and Soft Machine, there is also a singularity that clearly puts EGG in a class by themselves. 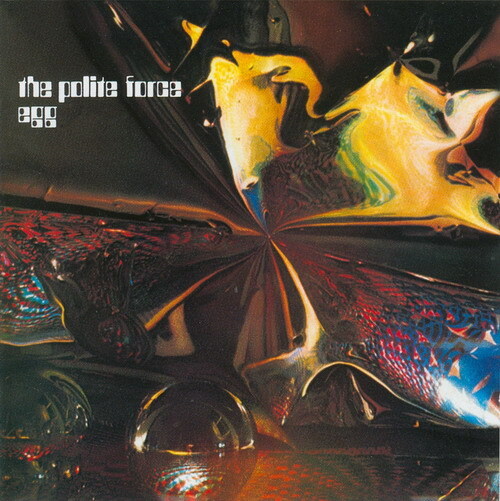 No other band employed the complex song structures and time signatures that Egg used as the hallmark components of their unique style. The Polite Force is an essential and must-have record.